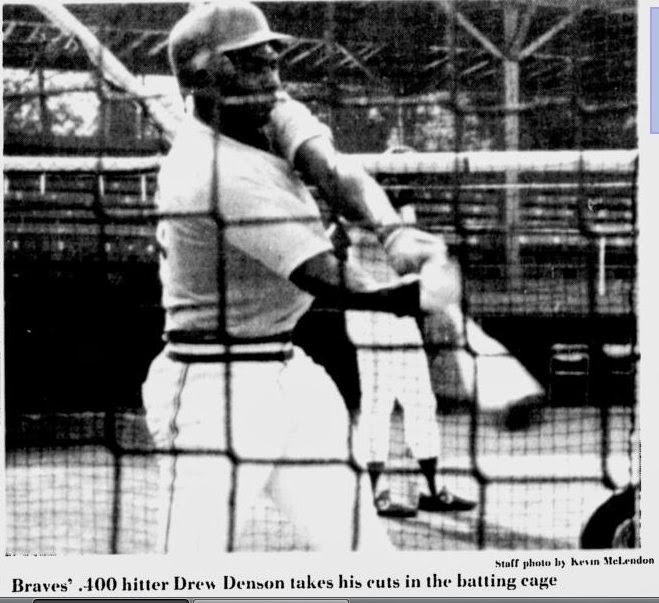 Drew Denson, the first-round pick of the Atlanta Braves in the 1984 draft, passed away February 13, 2014 in Cincinnati due to complications from a rare blood condition called amyloidosis. He was 48. Standing 6-foot-5, he was an ominous figure, earning all-city honors in basketball and baseball, at Cincinnati's Purcell Marian High School. As a switch-hitting first baseman, he gained notoriety for his monstrous home runs, including one that was estimated at over 500 feet. Braves scout Hep Cronin told the Cincinnati Enquirer that the forecast was exceptionally bright for the young slugger. In his first two seasons in the minor leagues, Denson was right on track, batting over .300 in both campaigns. He hit a wall in 1986, experiencing a sharp decline, posting a lowly .234 average in Durham while fighting injuries all season. Entering the 1988 season sensing a need for a change, he returned to switch-hitting. During his previous four seasons in the minors, he hit exclusively from the right side, abandoning his switch-hitting duties in his junior year in high school due to the urgings of his high school coach. After a conversation with teammate and childhood friend David Justice, Denson started to take batting practice left-handed. After getting confirmation from Hank Aaron, he returned as a switch-hitter to All-Star form with Greenville. The Braves gave Denson a chance in 1989 as a September call-up, and he batted .250 with no home runs in 36 at-bats. 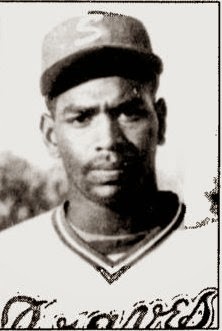 He returned to their Triple A team in Richmond in 1990, but his path was blocked by his friend Justice, who was his teammate on a Cincinnati little league team in 1976. "It makes me happy knowing he's up there, doing what he can do," said Denson to the Free-Lance Star in 1990. "It's made me resolve to do that too." 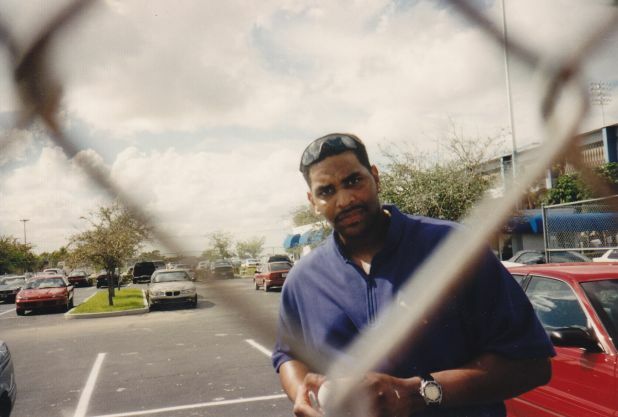 Denson lived up to his word by returning to the majors in 1993, but with a different club, the Chicago White Sox. The White Sox were fighting for the American League West championship, and manager Gene Lamont waited until they had clinched the pennant before using Denson. He spelled Frank Thomas for a few games, batting 1-for-5, singling against Jerry DiPoto in what was his last major league at-bat. He played in the minor leagues and Mexico through 1997. After his playing days, he returned to Cincinnati where he was a police officer and youth baseball coach until his blood disorder forced him to stop working. R.I.P Cuz I miss ya.